The law upon children. Choosing a family solicitor. The law upon children is a perfect example of the difference between reality and idealism. In reality the law is underlying what you do as parents, no doubt each parent having an ideal of parenting in mind that may not be shared with the other parent and is there to provide a framework when you cannot agree. The first point to understand about the law is that it is about the child, with the parent being relevant only in so far as their capability is concerned and that includes protection from harm to your child. The Human Rights Act is universal, applying to every citizen, but Article 8 rights to a family life and privacy do not put the right to a family of the parent on an equal footing to the welfare of the child, which remains paramount. Taking a moment, as a separated parent, to reflect on this is worthwhile. Then ask yourself, can I deal with this dispute myself or should I be represented? A lawyer is not there to make your decisions or to make you a better parent, he or she is often just necessary because the emotion of the separation make practical communication with the other parent impossible, meaning you cannot achieve what is best for your children because your ex will not listen. At Northwich in Cheshire, family law solicitor Michael Brennan at Stonehewer Moss has over 20 years experience of handling child arrangement disputes. 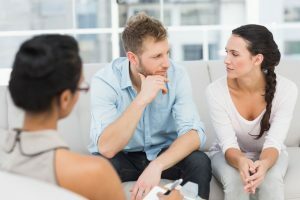 Michael says, “A family solicitor should not be seen as a combatant, fighting your ex partner; often the root problem in a family dispute is that our “fight or flight” instinct kicks in when we separate and the children end up being fought over or, sadly, left behind. An experienced solicitor knows his role is to bring about a settlement, whether through advice, negotiation out of court or representation in it. If you instruct a lawyer who thinks his job is to fight, the outcome could be a mess that you and your children must live with in the future”. If you and the other parent are on good terms and can communicate effectively, you may just need to see a solicitor to ensure you understand the law and how to make your agreement enforceable if it fails. You might think you are 100% right and it is the problem of your ex that they will not listen; hold on, you are heading for court and the judge will apply the law you may not fully understand and takes control of the issues from you. Using a solicitor to negotiate might assist. Michael Brennan, the Northwich family solicitor, has trained as a collaborative lawyer, a civilized approach to settlement that trains the lawyer to communicate and listen effectively. If you need the Court to resolve a child arrangement for you, the use of the Court can only take place if the applicant to court, at least, has attended to see a mediator. It is in the rules. Mediation permits parents to communicate with a qualified person present to facilitate an agreement. Your use of a lawyer might therefore be limited to making a referral to mediation. If you end up in Court, here is a last thought, the judge is a lawyer trained not to be adversarial! If you think lawyers are all bad why are you threatening to seek the help of one in court? Far better to use a lawyer constructively away from court; battles have little to do with good parenting and might reasonably be seen as a failure. Share, listen, communicate or use a lawyer trained to do it for you if the two of you cannot manage it while emotions are high. This article was added on Tuesday, November 24th, 2015 at 4:02 pm and is categorised under Child arrangements, cohabitation disputes, Divorce, Family Law. Both comments and pings are currently closed. Error: Error validating access token: Session has expired on Saturday, 09-Mar-19 13:12:58 PST. The current time is Thursday, 25-Apr-19 21:43:57 PDT.